Juniors Wiggle and Giggle Pals | It has to be pulled for wiggling and can be rotated up to 360 degrees. 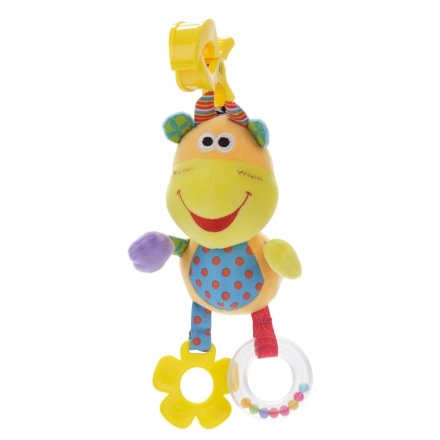 Ideal for little kids, this wiggle and giggle toy can be clipped on to the stroller while going for a stroll with your kid. 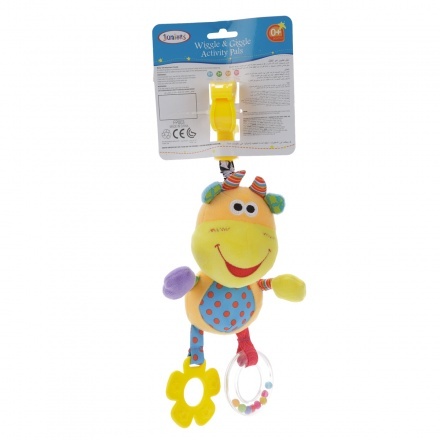 Featuring a plush cow, it flaunts attractive colours and polka dots that add to its appeal.